This is a 3 1/2 inch tall Bullet center cap with 7 inch back inside diameter. 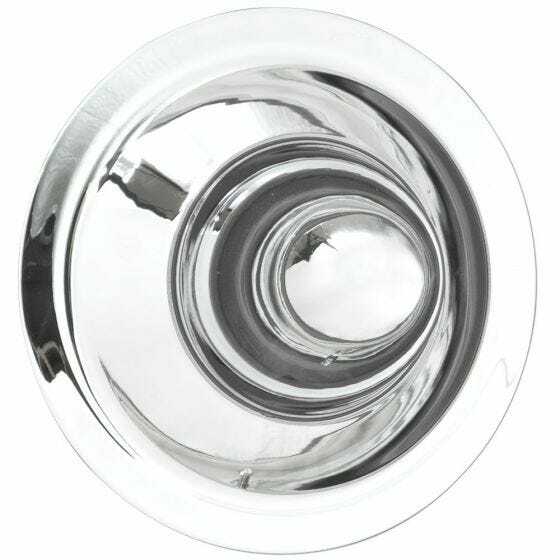 These bright chrome Bullet wheel hubcaps (Shannon caps) are very popular caps. These Bullet caps fit our Corvette/Camaro Rallye wheels, all sizes, Smoothie wheels 16" and 17" only. Please check your actual wheels required cap fitment size.